For 2019, the Porsche Carrera Cup GB blue-riband event will now be held in support the World Endurance Championship (WEC) at Silverstone on 30 August and 1 September. The Silverstone weekend, held on the full Grand Prix circuit as used by the Porsche Mobil 1 Supercup in July, will mark the start of a new season for WEC following the current Super Season. The WEC 2018 / 2019 Super Season reaches its climax at the 24 Hours of Le Mans this June, with Porsche currently leading both teams’ and drivers’ standings in both GTE Pro and GTE Am categories. 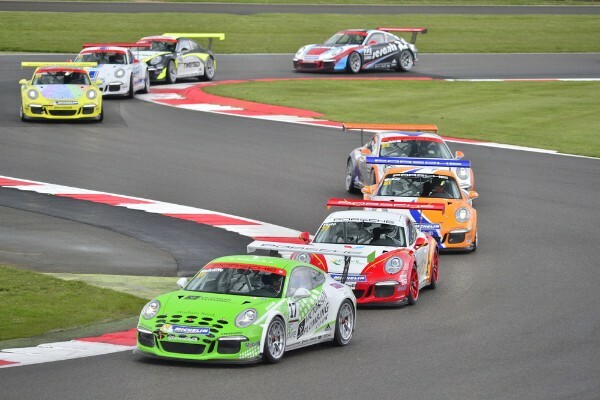 Porsche Carrera Cup GB last supported WEC at Silverstone in 2016 and, despite a freak snowstorm cancelling qualifying, presented drivers with the opportunity to showcase their talents in front of the world’s premier endurance championship. Charlie Eastwood, Porsche GB 2016 / 2017 Scholar and 2017 Porsche Carrera Cup GB champion, scored double podium finishes that weekend in 2016 – just his third and fourth races in a Porsche. Three years later, Eastwood currently sits third overall in the WEC GTE Am drivers’ standings. As has been the case since the introduction of the 911 ‘Type 991’ GT3 Cup, Porsche Carrera Cup GB will continue to provide a world-class calendar for teams, drivers and sponsors as part of the world-wide Porsche Motorsport family. The calendar finalised late in 2018 had originally scheduled the feature weekend for Circuit de Catalunya in Barcelona, Spain, alongside the European Le Mans Series. However, an opportunity to join WEC for the season-opening weekend, when combined with uncertainty over any challenges that might accompany a ‘fly-away’ race weekend, sparked a consultation process within the Porsche Carrera Cup GB family – teams, drivers, sponsors and partners. This process has recently helped shape the championship through several of the biggest changes since its inception in 2003, and led to the modification of the calendar to incorporate the two WEC Silverstone support races. The duration and timings of the races have yet to be confirmed, but in 2016 took the form of one 30-minute race together with a ‘feature’ 45-minute race. The remainder of the seven weekends and fourteen rounds will continue to run alongside the BTCC calendar as part of an on-going commitment to the TOCA package that has provided such a successful home for the championship since 2003.